Independent schools and private schools: all schools that are not funded by the state but by tuition fees, gifts and endowments. These terms tend to be used interchangeably for schools ranging from grand public schools to highly selective day schools to tiny local junior schools. Public schools: historically the most exclusive – and expensive – of boys’ private (mainly boarding) schools. Boarding schools: schools with facilities for pupils to have a home from home on a termly, weekly or flexible basis, often with superb facilities and a multitude of extracurricular activities. Most now also accept a proportion of day pupils who can benefit from everything on offer but go home to sleep in their own beds. Prep and pre-prep schools: short for preparatory and pre-preparatory schools. Private primary schools for children aged 3 to 7 or 8 (pre-preps) or 7 to 11 or 13 (preps). They prepare pupils for entry to mainly independent secondary schools of all types. Sometimes called junior schools. What is the difference between public schools, private schools and independent schools? Private schools are any that are not financed by the state but largely by school fees paid by parents. They can cater for any age group and charge a wide variety of fees. 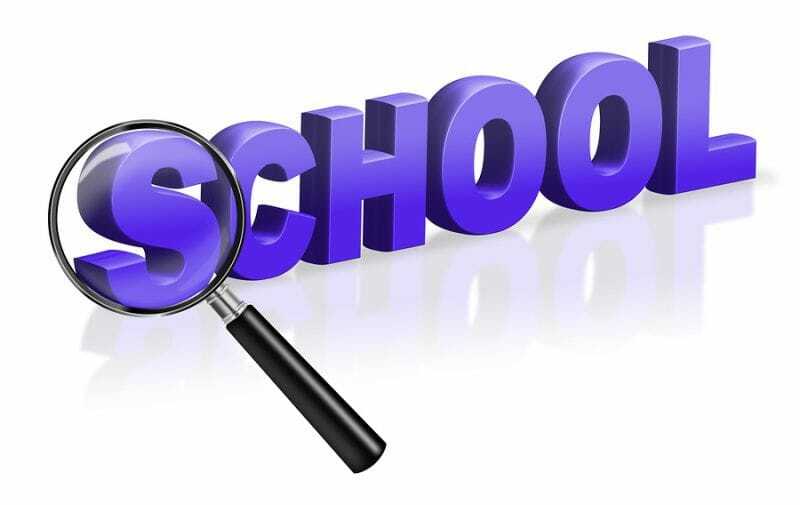 All independent schools are private schools, and these terms are often used interchangeably, but technically independent schools are all overseen by a board of governors or trustees, whilst other private schools may be run by their owner with no governing body. Public schools are, confusingly, also private schools: mostly the oldest and most expensive of boarding secondary schools (see below). These schools really only share the common ground of charging fees and having the independence to operate outside of government regulations, although they do have to conform to official standards of education, health and safety, are regularly inspected (by the Independent Schools Inspectorate either as well as or instead of by Ofsted) and – at secondary level – prepare pupils for the same GCSEs and A levels or IBs as state schools. In the UK, ‘public school’ is the somewhat misleading and archaic term used for a group of old-established boarding secondary schools. The term ‘public’ actually refers to the fact that in 1868 a small group of boys’ schools were given independence from the Crown, church or government in favour of management by a board of governors. The original seven were Charterhouse, Eton College, Winchester College, Harrow School, Rugby School, Shrewsbury School, and Westminster. There are now several hundred ‘public schools’, including many girls’ and co-educational schools, nearly all with a proportion of day pupils, and the majority with boarding fees upwards of £35K and highly selective entrance requirements. How is a prep school different to a primary school? Prep schools are all fee-paying, whilst state primary schools are funded by the state. Pre-prep schools usually start at 3 or 4 and feed into prep schools at 7 or 8. Preparatory schools do just what they say on the tin – prepare pupils for entry into private secondary schools via exams known as common entrance taken at age 13. Because nothing in the English school system is totally straightforward, almost all girls’ preparatory schools finish at the end of year 6 (nearly all girls’ senior schools start at year 7) as do – increasingly – some co-educational preps that feed independent day or grammar schools starting in year 7. And far from keeping the pressure off until it’s time for CE in year 8, many senior schools now demand an 11+ style pre-test in years 6 or 7, offering places up to two years ahead of entry which are then secured by CE. Most pupils at a state primary school move on to their local state secondary school, though some will take exams at 11 for fee paying secondary schools. Are all private schools selective? Some more than others. For a handful of junior schools (mainly in or close to London) the only way to be sure of gaining a place is to put your child’s name down at birth, although thankfully most schools now organise admissions so that not all places are nabbed by carefully planned September babies. At the majority, though, things are a bit more relaxed, with many rural prep and senior schools actively marketing for new pupils. Selection for early years places tends to involve a gentle assessment to see whether your child is school ready; speech, play and social interaction are the orders of the day. Many private schools are happy to accept children with mild special needs, but numbers with the welcome mat out dwindle rapidly as degrees of additional support required increase. If your child has special needs, our extensive SEN section can help point you in the right direction. And bear in mind that during your tour of the school or chat with the head you are quite likely being assessed to judge whether you are likely to ‘fit in’ with the parent body. At age 7 or 8 your child will be assessed in maths and English, possibly along with some sort of reasoning test to measure potential. Many schools will invite the child to a taster day to see how they interact with their potential classmates. As with most things, London preps dance to their own beat and openly select the brightest and best, with tutor firms unable to swipe the credit cards fast enough. When it comes to secondary school it’s crucial to get your ducks in a row sooner rather than later as in some cases the 13+ application deadline is up to three years prior to entry and latecomers are rarely accommodated, though for most 11+ entries you can register during the early autumn term of year 6. Selection should be a two-way process: choosing the right private school for your child is crucial to their future success so don’t be seduced by a top name – it may not be right for your child. More and more schools with year 9 entry are using a pre-test (either of their own design or the ISEB Common Pre-test) in year 6 or 7 to select this far in advance. The 11+ tends to be a more straightforward process, typically with exams in maths, English, science and verbal/non-verbal reasoning in the January of the year of entry. Help! Why is the English private school system so confusing? And if you still don’t want to fly solo, why not enlist the help of one of our expert advisors via The Good Schools Guide Education Consultants? They wrote the book so are ideally placed to help you see the wood from the trees. Private school interviews – how do I prepare my child? While state schools are prohibited from interviewing any but potential sixth form students, the interview is an integral part of nearly every private school admissions process, and tends to send the applicant’s parents, rather than the actual applicant, into a spin. Parents feel considerably more responsible for their child’s social presentation than for his or her ability to do long division or conjugate French verbs. Prep and pre-prep schools: what do I need to know? As their name suggests, the main aim of ‘preparatory schools’, or prep schools, is to prepare children for entry to fee-paying senior schools at 11 or 13. Traditionally, pre-preps take children from 3 or 4 and prepare them for moving on to preps at 7 or 8. There are fewer stand-alone pre-preps than there used to be as their main market, the boarding prep, has declined in numbers.